Indoor gardening takes a lot of time, effort and money. The cost of equipment, especially for artificial lighting need lots of investigation. There are different LED light manufacturers around, and so having the relevant information at your fingertips will help in your decision making. 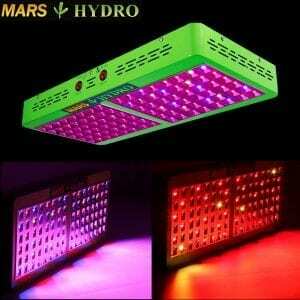 Because the Mars Hydro Reflector 96 Led grow light is considered to be the one of the best LED Grow lights on the market, it is important to know why most consumers rate it with 4.5 – 5 Stars. With the Mars Hydro Reflector 96, and what you intend to accomplish, there is no other to consider. 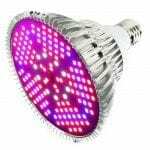 This LED grows light is a money saver over-time, even though it may be pricey at first, it is also the best light for indoor growing. This is because it has a wider capacity spectrum which determines the range of coverage your plants will have. It is built with 10 bands of light within the series of 430-440nm, 450-475nm, 620-630nm, 650-660nm, with an infrared spectrum in NM of 730. With this kind of range, you will be able to determine how many you need based on the size of your garden. 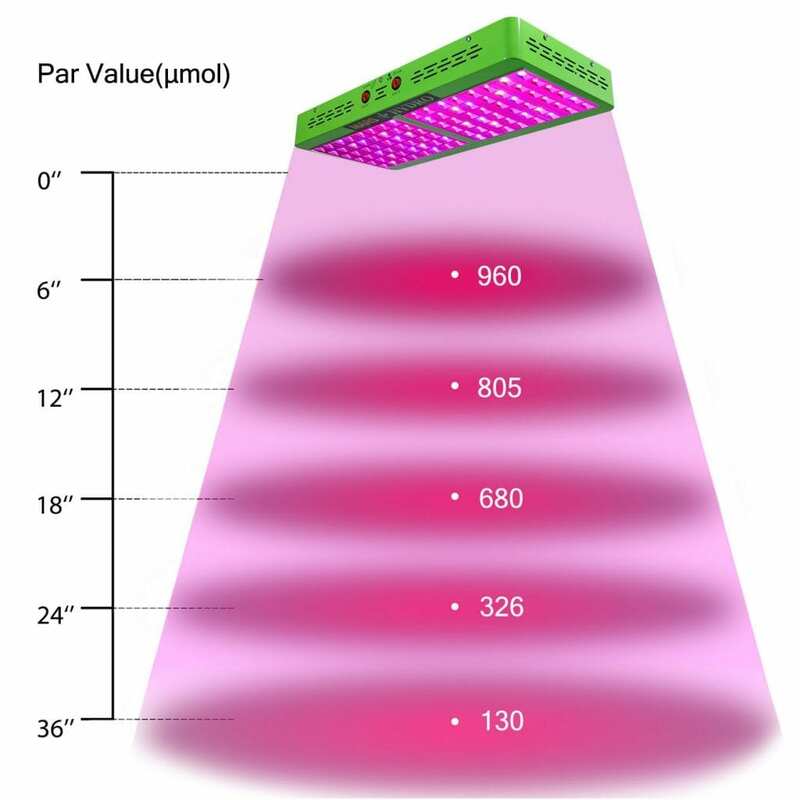 The coverage based on the LED grow light to buy is where your cost-effectiveness will be. There is no need to install different lights for the many stages of plant growth, as the mars hydro reflector 96 does it all. It imitates the different phases of nature perfectly in regards to the sun’s rays. Thus the plant gets the needed nutrients; for example, the red range gives the blooms the right amount and spread of light coverage of every stage of growth. For continuous usage, growers have concerns about the amount of electricity needed throughout the growth process. 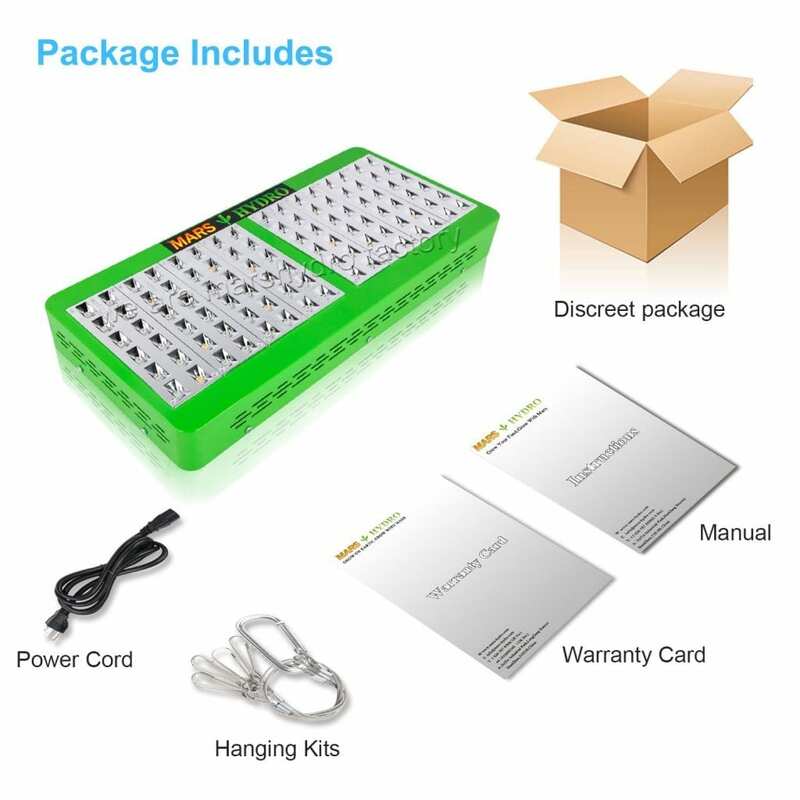 LED grow lights have a distinctly higher uniqueness based on it manufactured components in this regard. They are built with more diodes within each panel and these diodes have a capacity of 5 watts in comparison to the 3 watts it used to generate. 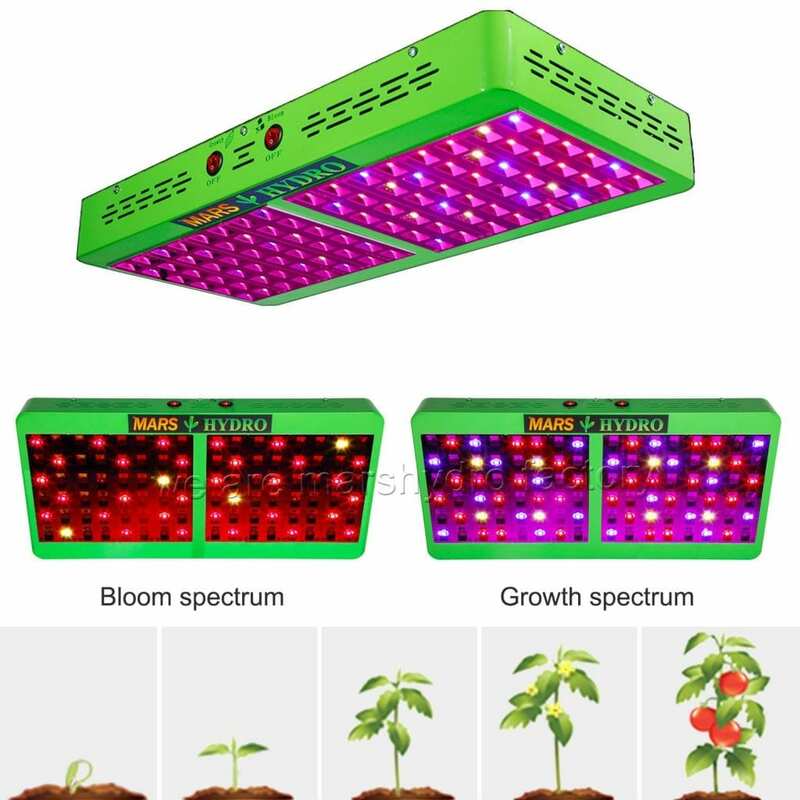 This gives a brighter lighting capacity, which helps in plant growth, and they are also energy efficient even with this capability. The light will also produce a bit more heat. This will make it more difficult to control your grow room temperature. 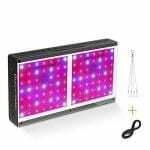 Plant growers have reported higher and better yields using this light, which makes them one of the best lights for indoor growing. The diodes are also built with reflectors that surround them. Each of these reflectors collects as much as 99% of the light which is mixed and dispersed based on the plant’s needs. There is also a cooling fan that cools the diodes and protects them from burning out or shutting down. This fan is located in the LED main panel. The life expectancy of a Mars energy efficient grow light is 50,000 hours; however, because the diodes do not utilize full-measure of their capabilities, it is safe to say, they definitely last longer. 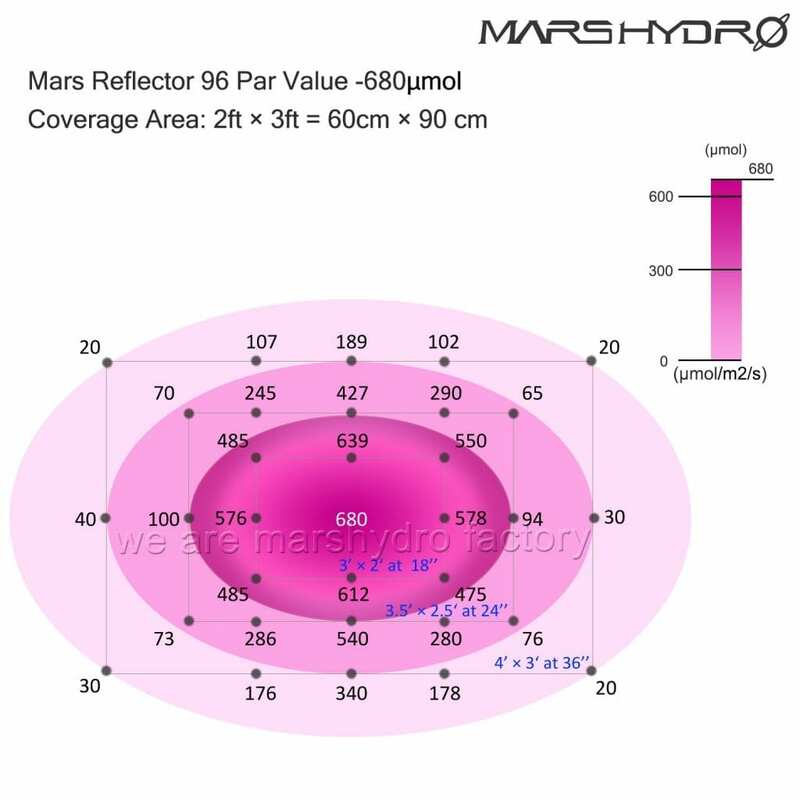 Below is a table of the range of the Mars Hydro Reflector series, including the Reflector 96. Another feature of the Mars Hydro Reflector 96 grow light is the capability to switch between 50% power and 100% power. The toggle switch is made with the power needs so you can determine which is workable, so you can power up or down the diodes accordingly. The power usage does not generate any noise, which is great. Unique reflector panel design to focus more light for higher par value. No light loss. ETL/CE/RoHS certified. Parts inside are fire-proof, wires inside the panel are UL certified. We guarantee user safety when people use mars lights. The Mars Hydro Reflector 96 LED grow light is one of the best grow lights on the market in its price category. It has surpassed grow lights of the past, as it is an energy efficient, money saver unit. Its 5-watt diodes, with its spectrum capacity, as well as the efficiency during plant growth, not to mention the growing yield makes it a good investment. Another mention which should be a selling point is the 3-year warranty. Which in my opinion is irrelevant, as the capacity for usage is 50,000 hours, and this makes it a steal! The Mars Hydro Reflector 96 gets you great value for money! Are you looking for a larger light in the same series? 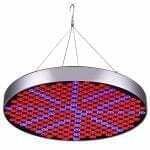 Check out the Mars Hydro Reflector 144 or the Mars Hydro Reflector 192. Are you looking for a smaller light? Check out the Mars Hydro Reflector 48.